First Ever Thunder On The Mountain Tickets Officially On Sale Today!! The first ever Thunder On The Mountain country music festival is headed to Mulberry Mountain in Northwest Arkansas, and we here at CMNB could not be more excited! The amazing, and I mean really, really great, line-up for the 2013 fest, taking place June 6th – June 8th, was announced last week (see it here! ), and it has country music fans ready for the weather to warm up so we can let loose in the Ozarks! Well, tickets go on sale TODAY, and you better start thinking and planning because I think these tix are going to sell fast! 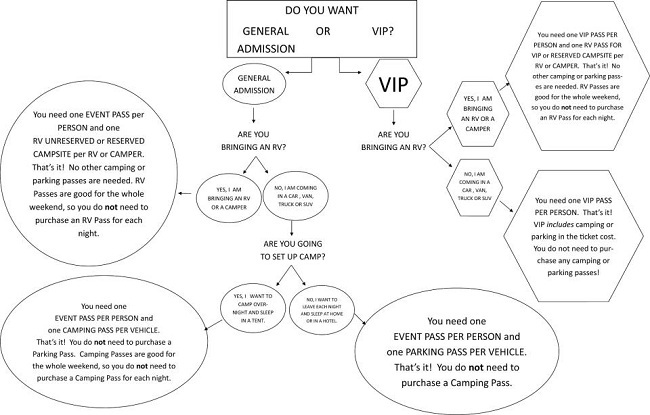 Find a helpful guide below to help you decide which tickets you need, and head on over to the official festival website for your ticket info! 2013 Thunder On The Mountain Ticket Guide! Country Music News Blog participates in advertising programs that help fund the operation of this site. For more information please visit our privacy statement. This entry was posted in Concerts, Featured, News, Thunder On The Mountain, Toby Keith and tagged Country Music, Country Music Festival, Thunder On The Mountain by MissMolly. Bookmark the permalink.